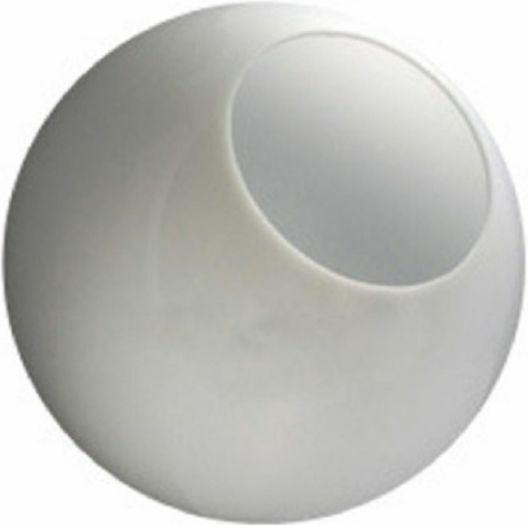 Globes are white acrylic, one piece injection blow molded with UV inhibitors. They have a minimum opening of 3.5 inches and a maximum opening of 7 inches. This is a custom cut and can not be returned. Please see above diagram. To request a custom opening, please enter the opening desired in the comments section at the bottom of the checkout page, or call 800-665-3594. If no custom opening is indicated, the globe will be sent with the minimum opening indicated in the description.